Heavier weight, high neck, and a design that keeps it from shifting. For heating or cooling, the flax seed pockets are designed to keep the fill consistently dispersed (so it won’t move down to the pocket front). 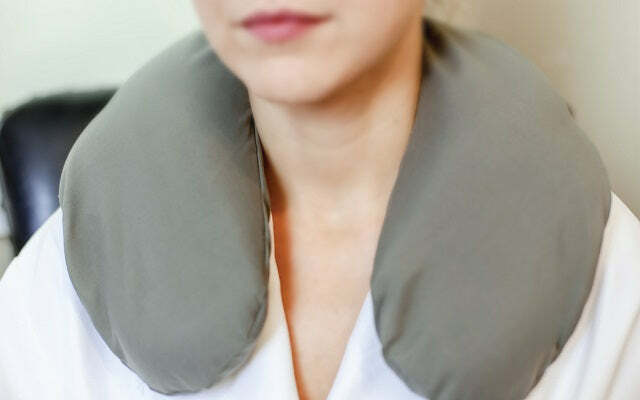 Set includes: 1 Neck Wrap Pillow, and 10 Cases. Can be heated or cooled, based on preference. Pillow not washable. Case is machine washable on delicate cycle. Hot wash, cold rinse. Light dry. Do not use bleach.